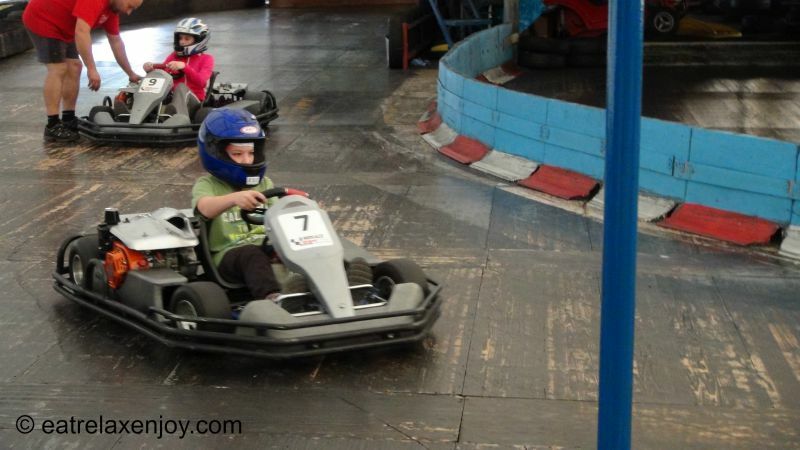 Wonderful karting activity for adults and children in the low Tatras in Slovakia around Liptov area. 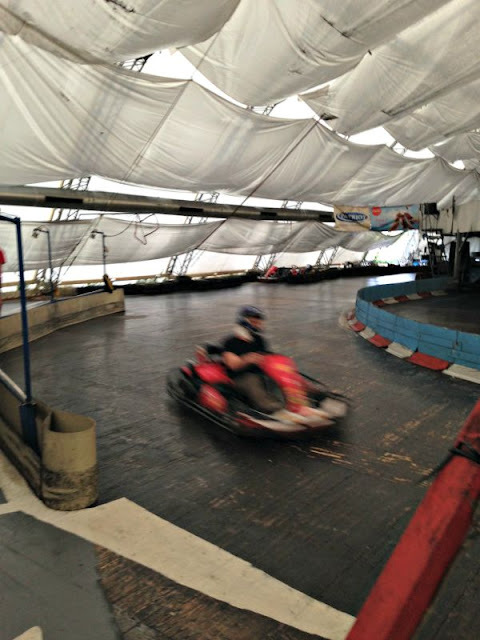 We go to Monaco Karting. The place has a pleasant sitting area, with sofas, tv, and a small coffee shop. 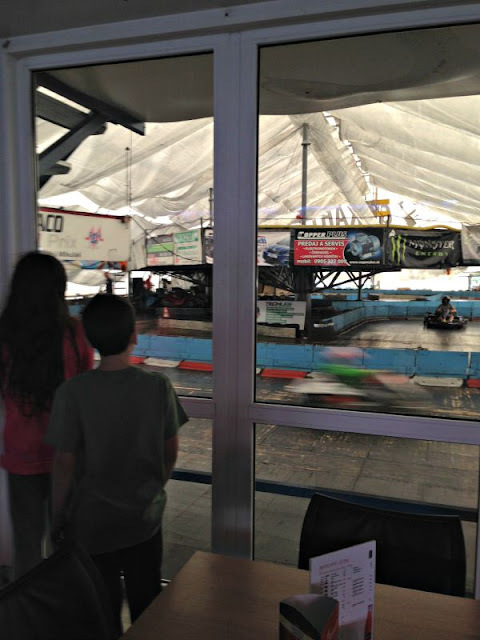 It is conveniently located with a glass door to watch the tracks quietly, because the track is quite noisy. When you register for the ride, you’ll need to buy a ‘sock’ for the head, which you will wear under the helmet. They seem to follow safety instructions and asked my daughter to make a braid from her long her and insert it into her shirt to make sure it won’t entangle in anything. Then, the ‘racers’ go to the track and start a short session of instructions and then go driving. After a quick adjustment period, they start developing speed! Here’s a short video of the track. There are a number of tracks in Liptovsky Mikulas. It is highly recommended to book a track by calling them before coming because they fill up quickly, especially on weekends and in high season. Most tracks are covered. Those who are sensitive – bring earplugs. We were in Karting Monaco, which is located in the northern industrial area of Liptovsky Mikulas. The website is in Slovakian, you’ll need Google translate to read it.